Through our portfolio of services, we help you make informed decisions about the leadership you need to build an organization that outperforms, inspires and grows. We help you find and develop outstanding leaders, improve team and board performance, and align culture with your strategy. Explore our insights on leadership, board and governance issues, organizational culture and more. It's more important than ever to make the right decisions about people and culture. We examine how you can more rigorously manage many leadership and culture issues in our latest issue. We have 60 years’ experience in leadership consulting. We've built a reputation for delivering real impact for our clients — from the world’s largest companies to startups to nonprofits. We are committed to building relationships with exceptional leaders who may qualify as candidates, now or in the future. To maximize your visibility, we encourage you to register with both Spencer Stuart and BlueSteps. 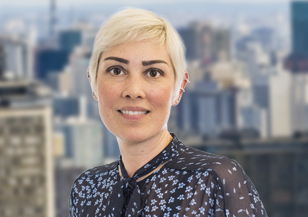 Based in São Paulo, Ana Paula leads Spencer Stuart’s Healthcare Practice in Brazil also heads the Human Resources Practice in Latin America, recruiting senior local and regional human resources executives across all industries. In addition to her industry roles, Ana Paula is member of the firm’s Leadership Advisory Services team in Latin America, conducting projects for local and multinational companies across a variety of sectors. Prior to joining Spencer Stuart, Ana Paula worked for another executive search firm as a human resources consultant in its search and assessment divisions, taking part in several searches within the industrial practice, including the pharmaceutical and automotive segments. She holds an undergraduate degree in international trading from Universidade Paulista and has pursued additional studies in business administration, finance and banking from Fundação Getúlio Vargas (FGV) São Paulo. She is fluent in Portuguese, English and Spanish. Featured in Harvard Business Review's 10 Must Reads for 2019, our study lays out a vocabulary for talking about culture in a rigorous way and a roadmap for managing and changing culture.